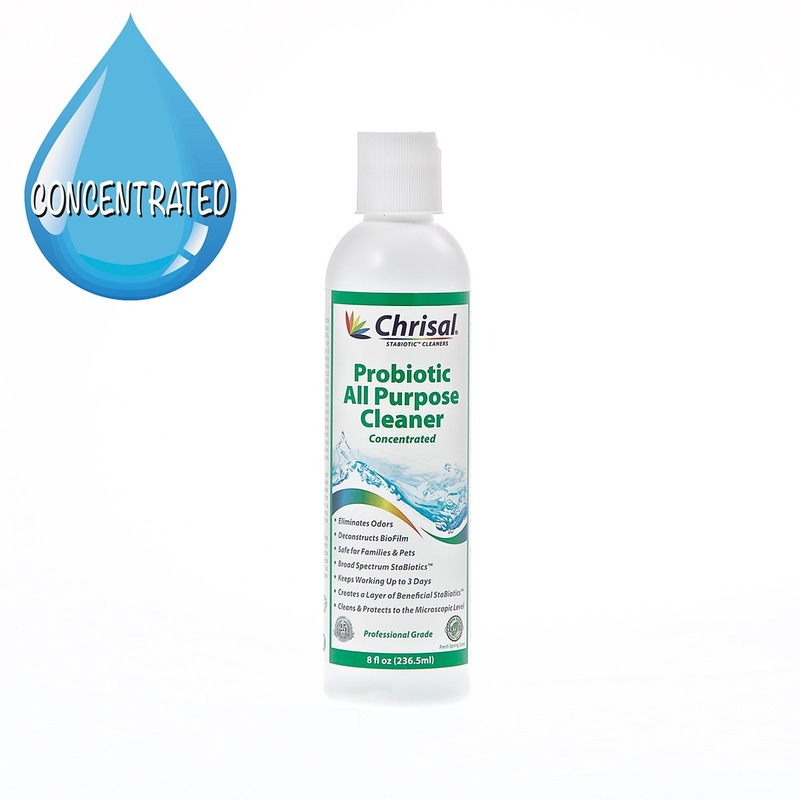 Finally, an all-purpose cleaner that also works on all surfaces including leather, fabrics, glass and mirrors! APC cleans and protects surfaces for up to 3 days by leaving a long-lasting layer of beneficial probiotic bacteria that create a safe, stable and odor- free environment. 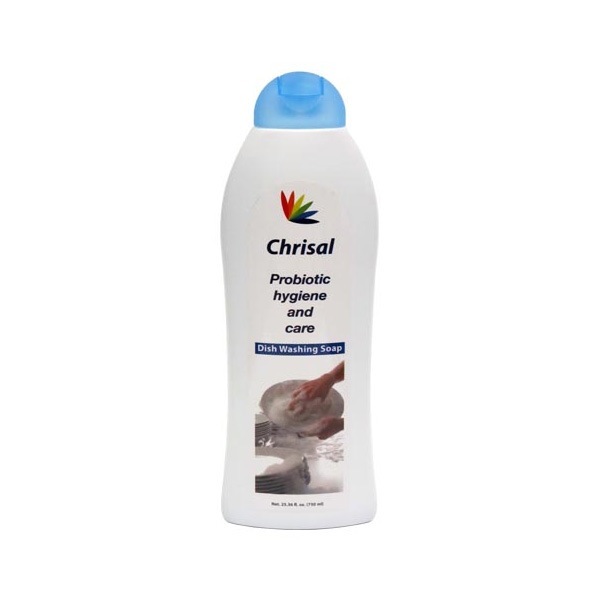 Chrisal All Purpose Cleaner (APC) is a versatile and effective general purpose cleaner enriched with safe probiotic bacteria. 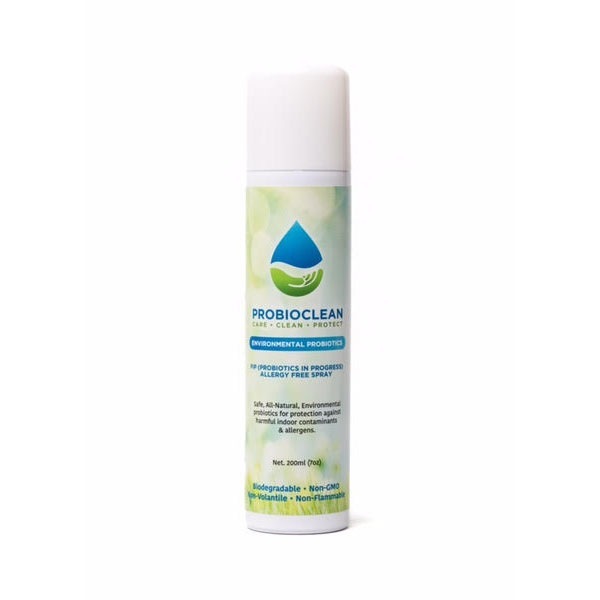 Highly concentrated and economical, APC cleans and degreases thoroughly, drastically reduces odors, and has a residual cleaning and deodorizing effect lasting for up to 3 days after use. 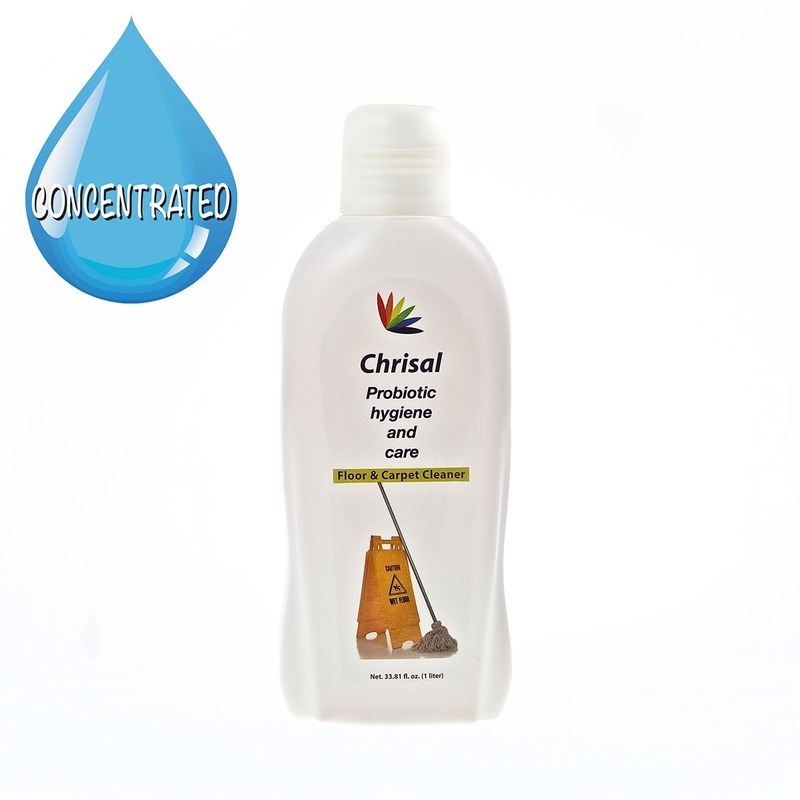 Chrisal All Purpose Cleaner is safe for all washable surfaces, skin and clothing. 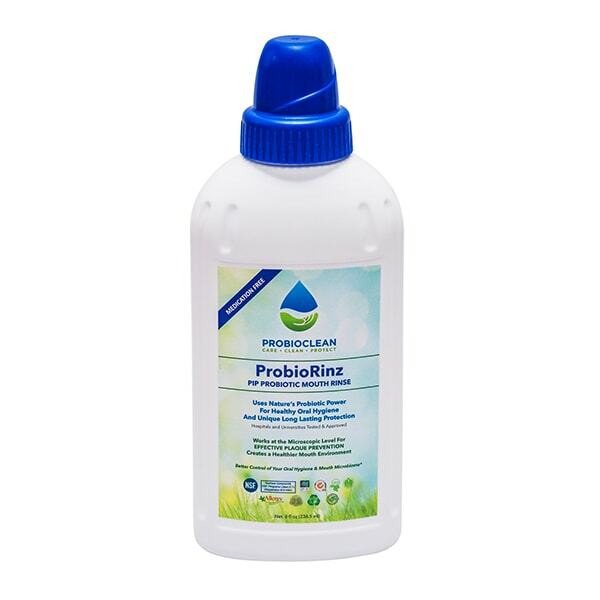 It is biodegradable, non-toxic and non-flammable per FDA approved laboratory testing. 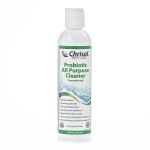 Chrisal Probiotic All Purpose Cleaner (APC) floods the surface with millions of safe, healthy bacteria that displace harmful (pathogenic) bacteria. These “tiny workers” continue cleaning and deodorizing for up to 3 days, unlike traditional cleaners that stop working as soon as they are dry. 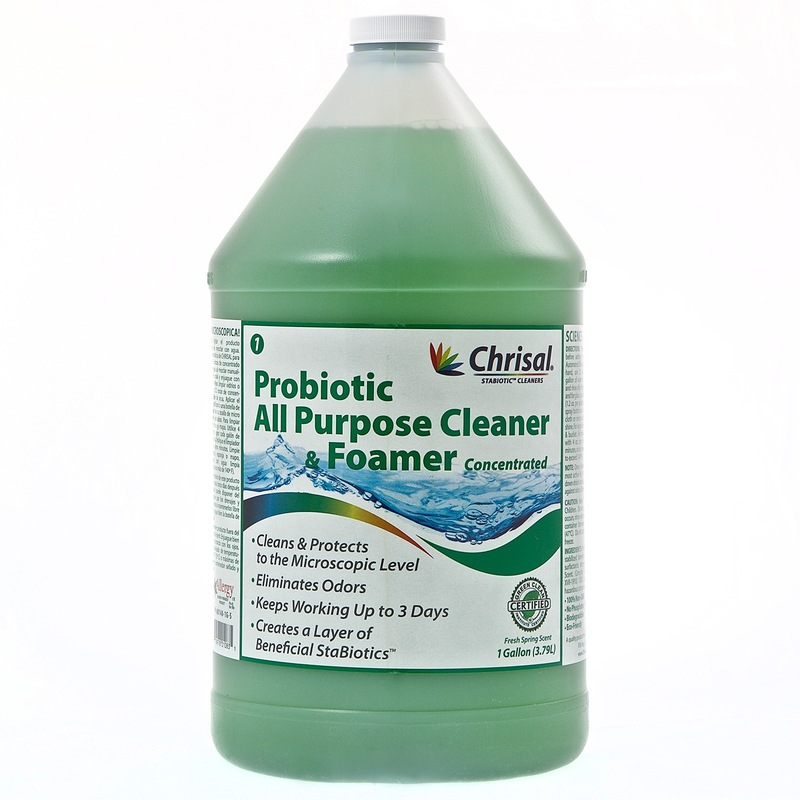 Use diluted product within 3 days; pour excess down the drain to remove biofilm! 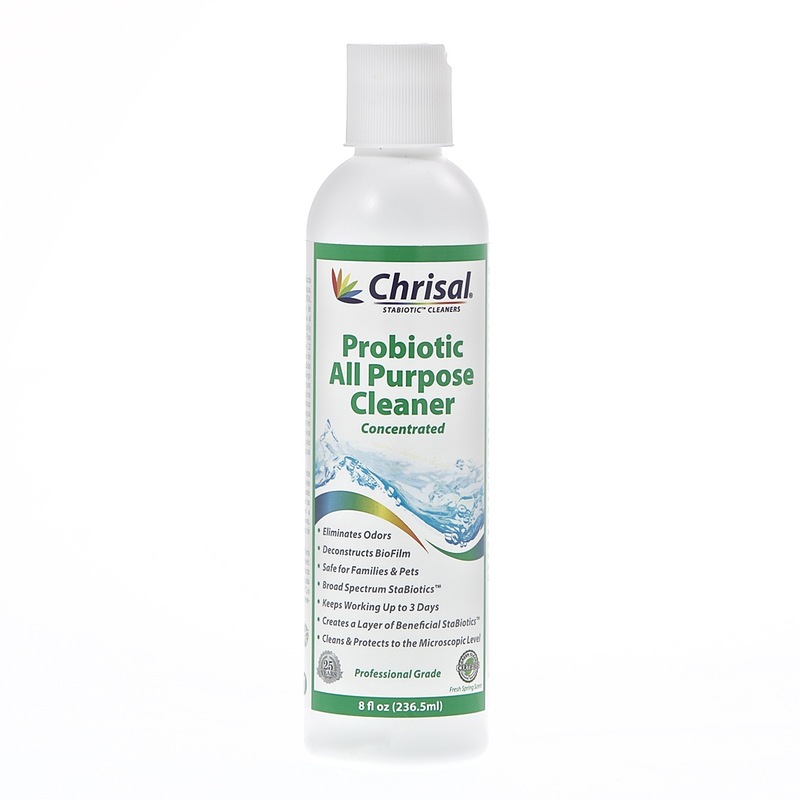 The proprietary bacterial strains used in Chrisal products are all natural strains and have not been subject to any gene splicing or recombinant technologies (No GMO). They are beneficial and classified as Type 1 (harmless organisms). 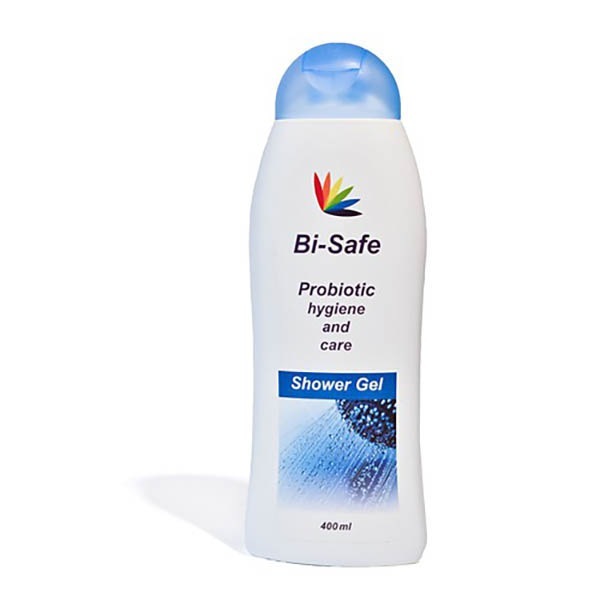 Produced in USA in FDA registered facility. 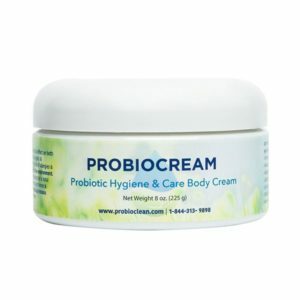 Always shake the concentrate before mixing to disperse your probiotic workers! Dilute APC in a 1:100 ratio; 1 part APC to 100 parts water. For windows, glass, and mirrors, use 1 part APC to 128 parts water. Fill a spray bottle with 500 ml water and add 5 ml of APC, if using the Metric System. 5.0 ounces of APC with 4 gallons of water. 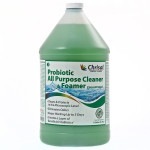 Use mixed solution within 3 days; pour extra down the drain to breakdown biofilm.